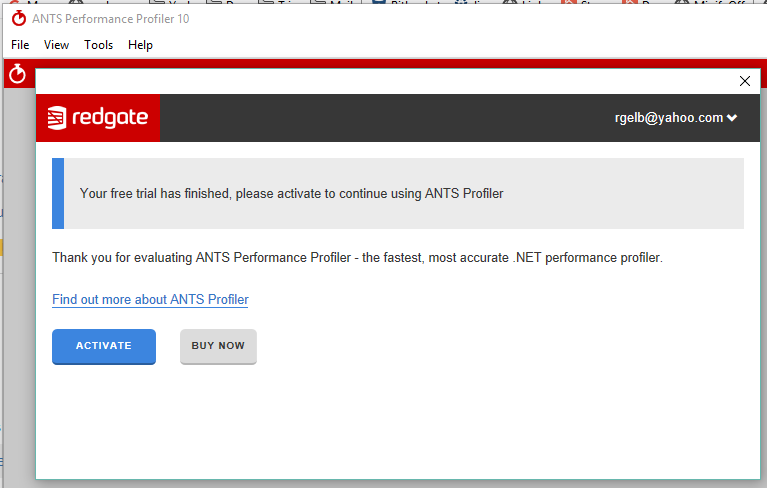 I downloaded Ants Performance Profiler 10 to try it out. However, it gives me this error. Hi @rgelb there was an issue with one of the trial dll files that caused this in some cases - if you update to 10.0.2.928 this corrects that particular problem. You can grab it here: https://download.red-gate.com//checkforupdates/ANTSPerformanceProfiler/ANTSPerformanceProfiler_10.0.2.928.exe. Let us know if that doesn't correct the problem for you.